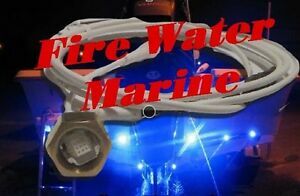 firewatermarine1 has no other items for sale. AMERICAN MADE, FULL WARRANTY, SUPER FAST SHIPPING. There are 289 items available. Please enter a number less than or equal to 289. Great product. Would buy from again. Fast shipping, great value, item as described. Highly recommended seller!! I tested the light prior to install. Had it professionally mounted. Light quit the first time I had the boat in the water.